The concept of biopolitics has been one of the most important and widely used in recent years in disciplines across the humanities and social sciences. 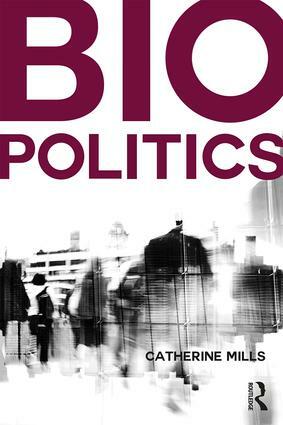 In Biopolitics, Mills provides a wide-ranging and insightful introduction to the field of biopolitical studies. The first part of the book provides a much-needed philosophical introduction to key theoretical approaches to the concept in contemporary usage. This includes discussions of the work of Michel Foucault, Giorgio Agamben, Hannah Arendt, Roberto Esposito, and Antonio Negri. In the second part of the book, Mills discusses various topics across the categories of politics, life and subjectivity. These include questions of sovereignty and governmentality, violence, rights, technology, reproduction, race, and sexual difference. This book will be an indispensable guide for those wishing to gain an understanding of the central theories and issues in biopolitical studies. For those already working with the concept of biopolitics, it provides challenging and provocative insights and argues for a ground-breaking reorientation of the field.